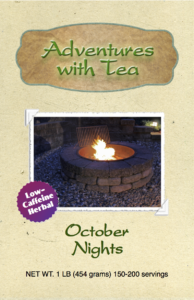 Like this month’s theme, our tea brings together a diverse collection of moods and flavors with an invigorating result. It’s part smoky, spicy, and citrusy with a hint of nutty flavor. It definitely commands attention! 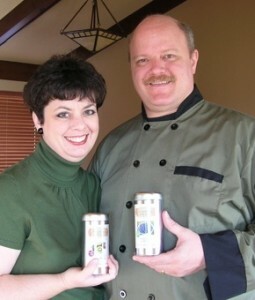 Recently the Arnolds (of Adventures with Tea) used it ground in Crab Salad and to enhance their Gazpacho recipe. As days get shorter, that leaves more time for evenings spent around an open fire. So gather your friends or family, then kick back and enjoy a cup of this sweet and spicy blend with just a hint of smokiness.